← Day 60: Drink Wine From a Cheese Glass. 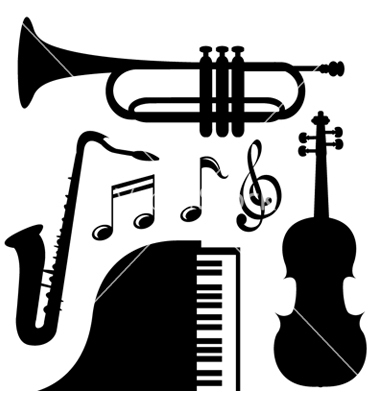 I come from a very musical family – I mean, not like the Partridge Family, or the Von Trapps, who really existed, by the way – consider your mind blown! We’re talking more about individual talents, such as my grandfather, who was a musician who happened to tune pianos in his spare time. And my father, who can reproduce pretty well any tune he hears on the piano by ear, along with my mother, who plays the double bass in her local symphony orchestra, which is always kind of funny to watch, because she is only 5’3″. My brother and I both took up several musical instruments when we were younger, mostly because we thought that was a perfectly normal thing to do. Ah, good times. So when I saw a voucher for something called Vibroacoustic Harp Therapy (VAHT), I was immediately intrigued. A musical massage? That’s like two of my favourite things put together. Sign me up! Now, if you have not heard of VAHT, you are definitely not alone. There are less than a hundred practitioners of it throughout the world. The theory behind it goes something like this. 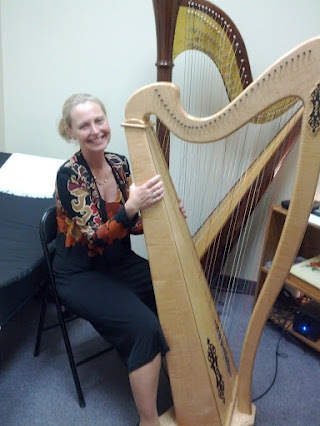 A harp is hooked up to an amplifier that is attached to a vibrotactile chair or pad which the client is sitting or lying on, and through which they feel the sound vibrations. Each client uniquely feels different tones in the areas of their body where they hold tension. The practitioner then plays live harp music that emphasizes the tones that resonate with that particular person. It is important for the client to be properly hydrated both before and after the session, which lasts about twenty minutes. After drinking a mug full of water, I laid down on the plushly padded table, which can be adjusted into either a bed or a chair, as there are some patients who cannot fully extend. We briefly chatted and reviewed my paperwork to highlight specific areas of tension and health concerns before we began. Kate then plucked one harp string at a time. For the first half-dozen or so notes, I didn’t feel a thing, and started to wonder if there really was anything to it; but then it happened. Several of the notes sent a vibration across my shoulders and upper back. It was an incredible feeling; I loved it immediately! It felt like a hands-free massage. Kate was satisfied that she had identified several notes that resonated with me, and then began to play the heavenly harp. With just about every note, the bed beneath me vibrated as though I were at a rock concert, lying on top of a gigantic speaker that was wrapped in a really thick duvet. In a word? Awesome! It was hard not to let my mind wander and even nod off a little bit, as the music was so soothing. I imagine this is how babies feel when they are placed in their car seats on top of a dryer to help them sleep. I’m also fairly certain VAHT is the real inspiration for the tune Good Vibrations. After the session and another mug full of water, I had a chat with Kate, who was simply delightful. I was struck by her ardent drive to bring awareness to the practice, as she was describing some of the amazing results they have had, in particular with Parkinsons patients. I always enjoy talking to people who simply light up when they are truly passionate about what they do. There’s a reason that trips to heaven in the movies tend to be accompanied by harp music. It possesses a certain angelic quality that seems to be extremely healing. I floated my way back into the city, oblivious to the traffic, relishing in the newly found space between my shoulder blades. I turned up the music on the radio. Life is indeed sweet. This entry was posted in Health and tagged April, deal, health, Kate Kunkel, Millennium Health Institute, Toronto, VAHT, Vibroacoustic harp therapy, voucher. Bookmark the permalink.